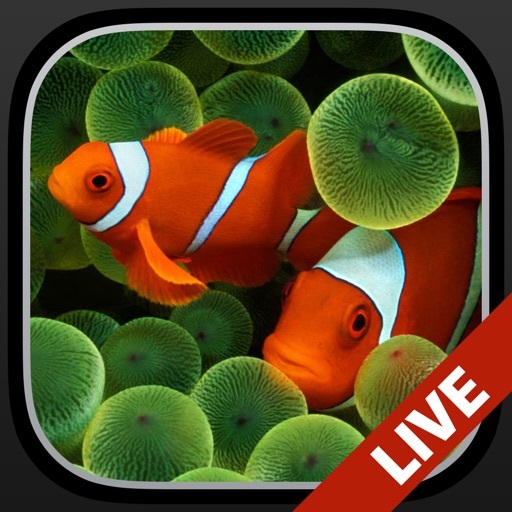 Stunning, aquarium themed Live Wallpaper on your iPhone! 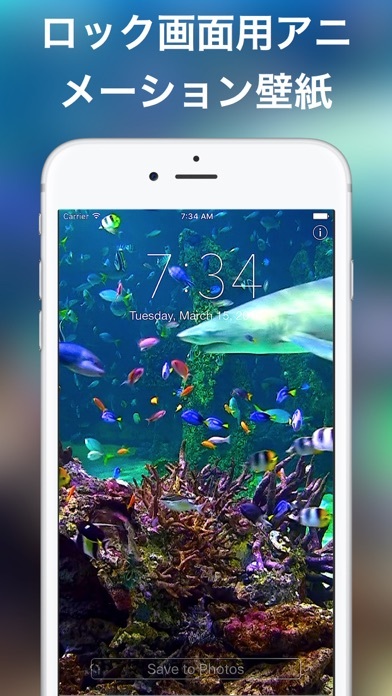 Many beautifully designed, tropical moving wallpapers to choose from. 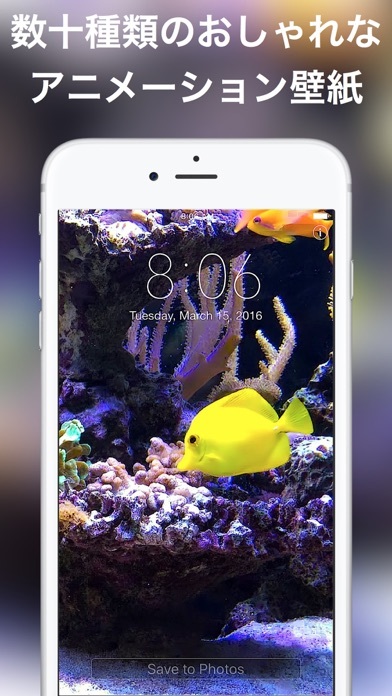 Aquarium Live Wallpaper only works on iPhone 6s, 7, 8, X or later. 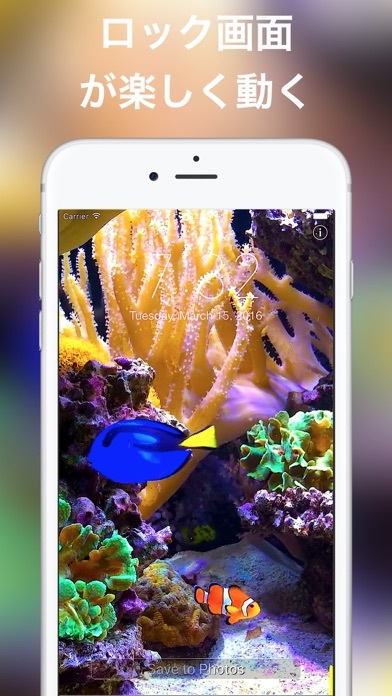 Featuring sharks, clownfish (Nemo), blue tang (Dory) and many other colourful fish these long Aquarium Live Wallpaper scenes will light up your iPhone. 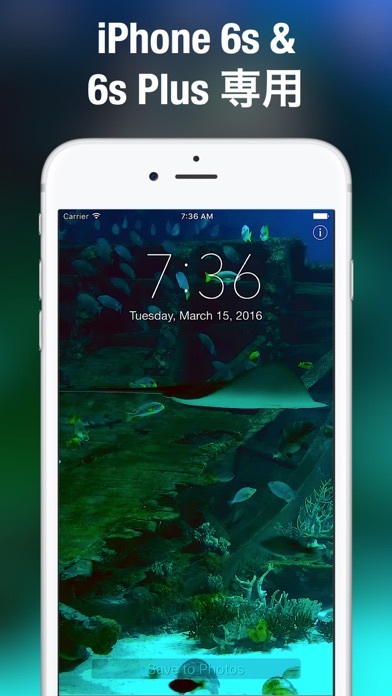 Swipe between the various wallpapers to find your favourites. Then save the ones you would like to use to your Camera Roll. From there simply take the same steps you normally do to make regular photos your lockscreen and/or wallpaper. 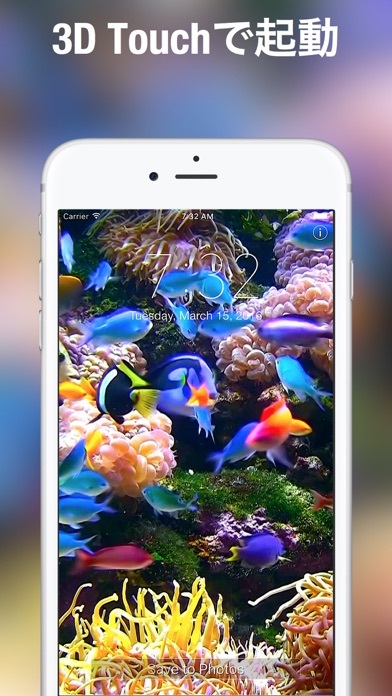 To play the aquarium scenes simply hold your finger to your lock screen.